Looking for things to do in Bordeaux France? Are you ready to hire a car and take our road trip throughout Bordeaux to see prestigious vineyards and French beaches? Take INSIDR along with you to have the best possible road trip to Bordeaux for a wine lover’s trip in Bordeaux. While other road trips such as Normandy are only 3 hour drive from Paris, reaching Bordeaux via car takes about 6 hours. You can also take a train for half the amount of time from Paris Montparnasse into Bordeaux and then hire a car in Bordeaux. The self-drive route from Paris to Bordeaux takes 6 hours but also takes you though beautiful parts of France such as around the castles of the Loire Valley, should you want to make extra stops and enjoy your journey south! 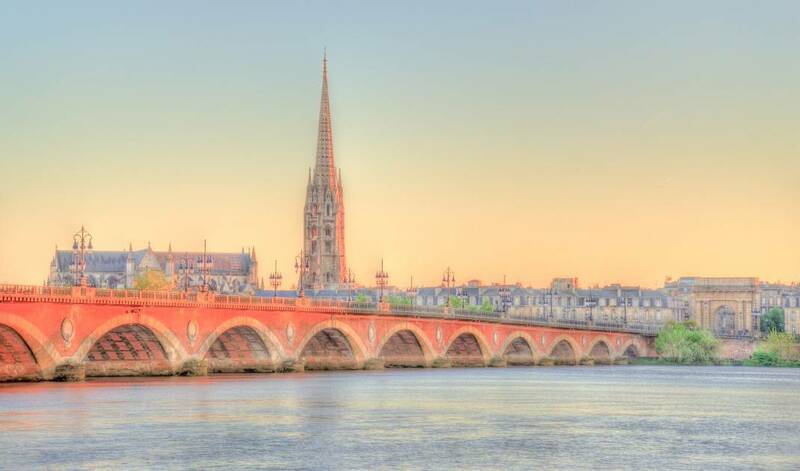 Upon arriving, the best places to stay in Bordeaux are in the city center even when renting a car to be close to all the Bordeaux attractions. Should you only have a few days in Bordeaux, here’s how to make the most of your time in the city. While the architecture is stunning in Bordeaux and there is plenty of Bordeaux sightseeing to be done, be sure to see some “behind the scenes” Bordeaux by trying the local pastries and foie gras. Bordeaux produces a special dessert called cannelés, a smooth smooth cake that is great for both a snack or dessert. Naturally when visiting Bordeaux you will visit the vineyards and taste some of the most famous wine in the world. To better understand Bordeaux’s production of wine, be sure to visit “Cité du Vin” where in the summer you can participate in a wine Marathon! Biarritz: Continue South from Bordeaux for a relaxing seaside vacation in Biarritz. Here you will experience how beach-goers in France surf and meet some proud Basque people! Carcassonne in the Languedoc region: A fortified beautiful city with stunning architecture.